No seminars scheduled for today/tomorrow. Dr. Saroj Panigrahi has been conferred The Chancellor's Award 2015. Prof. V. Kannan has been conferred the VACHASPATI Honorary D. Litt. by the Rashtriya Sanskrit Vidyapeetha, Tirupati. Prof.B.Sri Padmavati has been conferred the Ramanujan Memorial Award in Mathematics by Ramanujan Mathematics Academy for the Year 2017. Telangana Academy of Sciences (TAS) has elected and decided to admit Prof.B.Sri Padmavati as a “Fellow of the Telangana Academy of Sciences (FTAS)” for the year 2017. 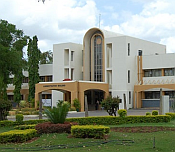 The University of Hyderabad, a premier institution of post graduate teaching and research in the country was established in 1974 as a central university. The School of Mathematics and Statistics was a part of the School of Mathematics and Computer/Information sciences, which was established in February 1978. The Department of Mathematics and Statistics was upgraded to School of Mathematics and Statistics on 22nd January 2013. Schools' research interests span across the broad areas of Algebra, Analysis, Geometry, Number theory, Applied mathematics, Statistics and Operation Research. to disseminate and advance knowledge by providing instructional and research facilities in such branches of learning as it may deem fit and by the example of its corporate life, and in particular to make special provisions for integrated courses in humanities and science in the educational programs of the University and to take appropriate measures for promoting inter-disciplinary studies and research in the University. 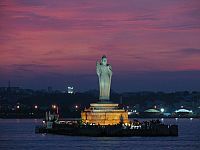 Hyderabad is the capital city of Telangana, India. In terms of area, It is currently, the second largest urban agglomerate in India, the sixth most populous city and the sixth-most populous urban agglomeration in India. It is known with the sobriquet City of Pearls, and referred as Heart of the Indian Peninsula. The university is located at a distance of around 25 Kilometers from the center of the city. Welcome to the e-home of mathstat@uohyd! Our Motto What do we stand for?